Get the envy you deserve. At your next baby shower, show up with a Pukies reusable wood gift box set. 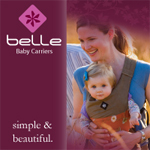 You will be the talk of the party! From hiding milk & formula stains to eat & play accessories, there are plenty of sets to choose from - all filled with Pukies products made with Soy Genius fabric! 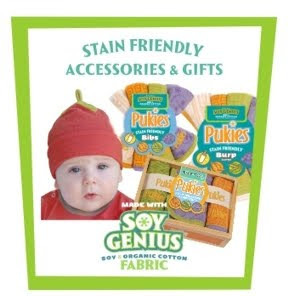 All Pukies products are made with Soy Genius -a soft, luxurious fabric made from a blend of natural soy fibers and organic cotton.